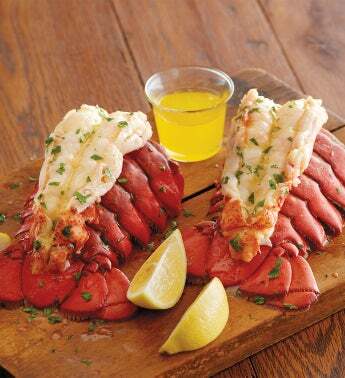 Remarkably tender, our fresh-caught lobster tails are bursting with firm, snow-white meat. Each tail is flash-frozen to ensure exceptional taste and tenderness at your table. Enjoy them steamed or broiled with melted butter and fresh lemon for a truly classic seaside meal. Or, pair this succulent lobster with any of our aged USDA Prime or Choice beef options for an incredible surf and turf duo.